West Deptford Free Public Library Teen Scene – Connecting teens to library services. Connecting teens to library services. Teen Scene programming for January – March 2019. Open to all middle and high school ages students. PLEASE NOTE: Programs subject to change. Kitchen Creations recipes and Craft Night ideas TBA. Dec 4 – Hawaiian Holiday, 7PM South Pacific Island Dancers – all ages welcome! For the full program schedule, check out our Facebook page. These programs are open to all middle school and high school aged students. To be sure that we have enough supplies for everyone, please register for these programs by calling the Library at 845-5593 or stopping in. Tuesdays, 5:30 – 6:30 p.m.
Join us every Friday morning from 11:00 a.m. to 12:00 noon to help sew baby quilts that will be donated to at-risk children. Learn how to use a sewing machine and design a crazy quilt. The Library is looking for Teen & ‘Tween Summer Volunteers, students entering grades 6-12 in September, to help plan, prepare, take part in activities for the Children’s Summer Program, and do some tasks in the Children’s Services area if needed. Interested? Contact Mrs. Cann, Children’s Librarian, dmcann@westdeptford.lib.nj.us, 856-845-5593, or stop by the Library. Tuesday Programs – 7:00 p.m.
Make wearable items using Duck Tape. Talk about what your are reading and share a pizza. Do you like to write stories or poems? Do you draw? Come share them with our group. Come play games with your friends. Snacks will be served. Sunday – March 13 – 1:00 p.m. Calling all budding engineers! 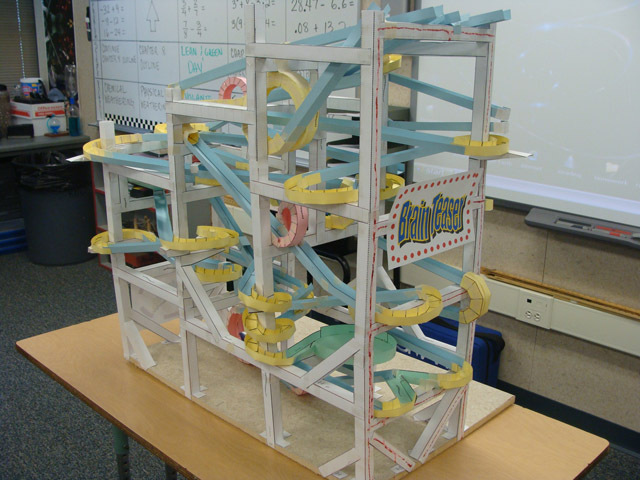 To celebrate New Jersey’s Maker Day, the Library will be having a roller coaster construction program. Bring a team or just come yourself to build a roller coaster. Challenge your friends to see whose roller coaster will go the fastest or the longest. Also see whose roller coaster will stand up the longest. The roller coasters will be made with cardboard and tape. Ideas will be shared or you can design your own. Marbles will be used to judge whose roller coaster is the fastest and whose marble goes the longest. Anything that you make, you can take home and make it better. Tuesday – February 2 @ 7:00 p.m.
Make chocolate covered fruit and pretzels. Tuesday, February 9 @ 7:00 p.m.
Tuesday, March 8 @ 7:00 p.m.
Is there a particular book that you would like to discuss with others people? Come to the Library and share. Enjoy a piece of pizza as well. Tuesday, February 16 @ 7:00 p.m.
Tuesday, March 15 @ 7:00 p.m.
Help publish a Library eZine. Bring your original drawings, poems, or short stories. Come relax and watch a movie. Snacks will be served. Tuesday – March 1 @ 7:00 p.m. Create jewelry that you can give to friends or family. Tuesday – March 29 @ 7:00 p.m.
Come to the Library to play board and video games. Bring a game to share or use the Library’s. Snacks will be served.